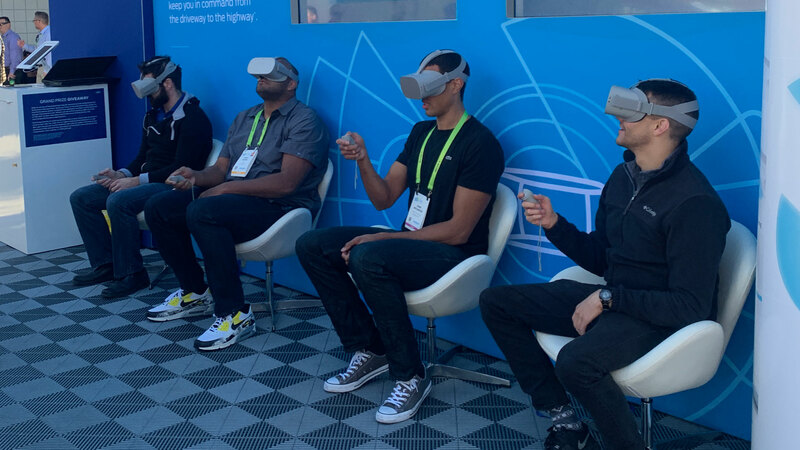 Groove Jones was in full force this year at the 2019 CES event. 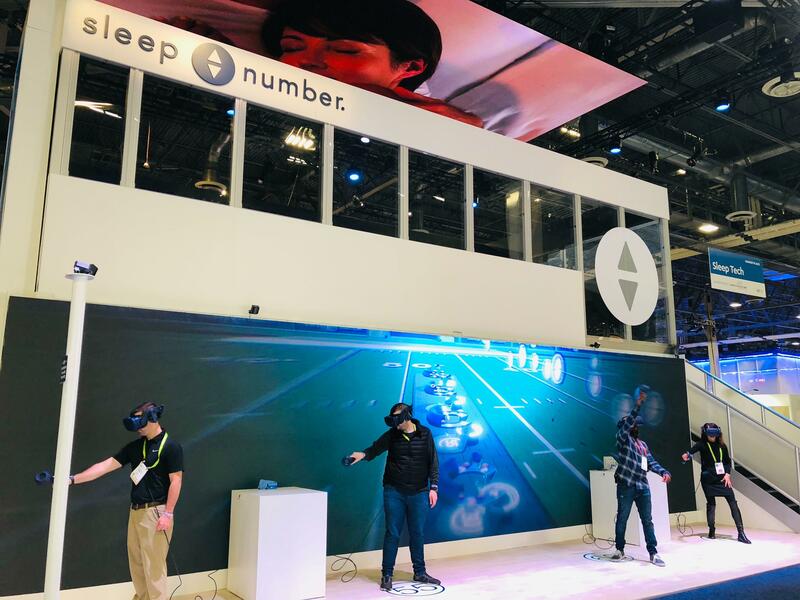 We supported two great brands – Ford Motor Company and Sleep Number on their customer activations. Check out the photos from the event. Videos and deeper case studies are on their way! 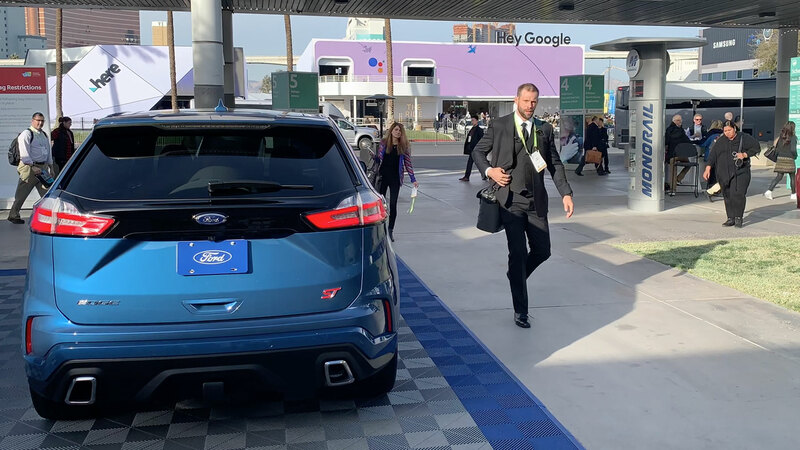 Visitors to CES had the chance to take a VR driving experience in the 2019 Ford Edge, that takes them on a journey from their home, to a drive on a busy highway and then into the city. 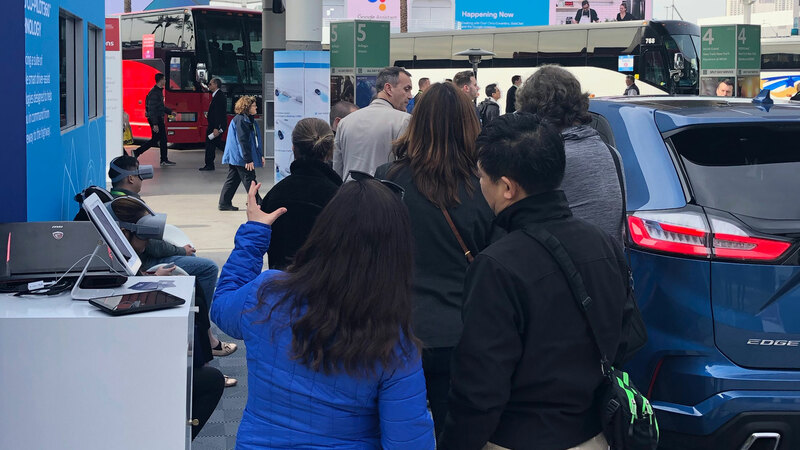 This 6-minute interactive experience put them in a variety of scenarios where they face various obstacles and hazards to demonstrate the safety technology. GTB, Ford’s agency partner brought us on board to bring their vision to life. 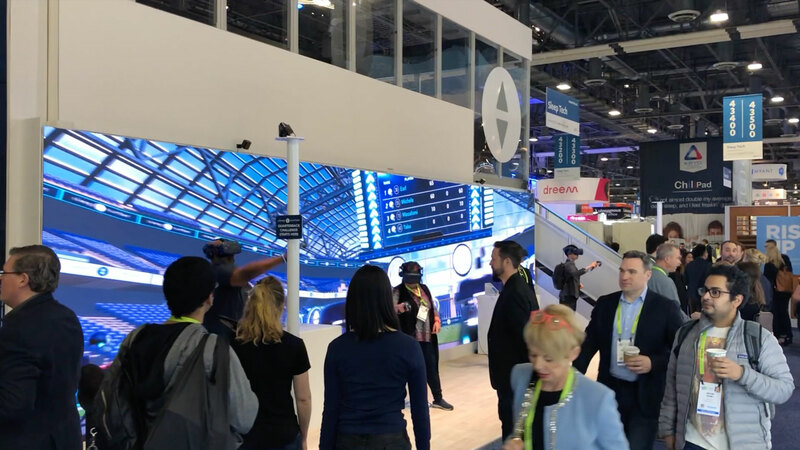 Users attempt to react to the hazards and obstacles with a game controller and see how they measure up to the Co-Pilot360 technology. The application tracks where the user is looking as well. So by tracking if they are able to see an obstacle or hazard visually or by using the controller they are given a score. 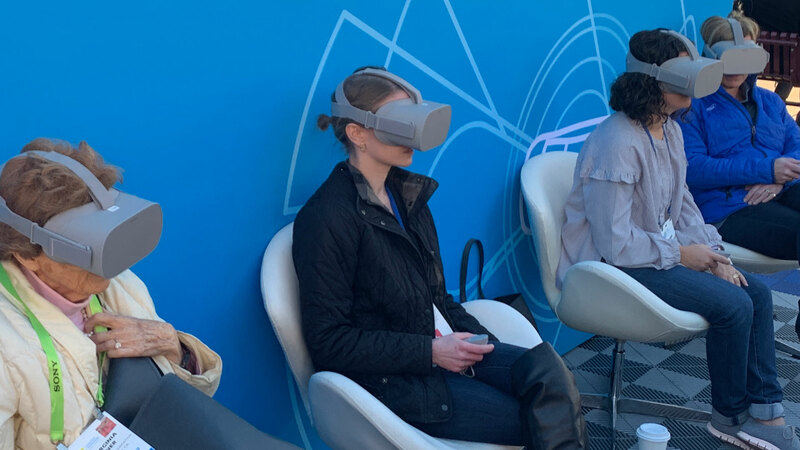 It is a fully interactive experience running on the Oculus Go. 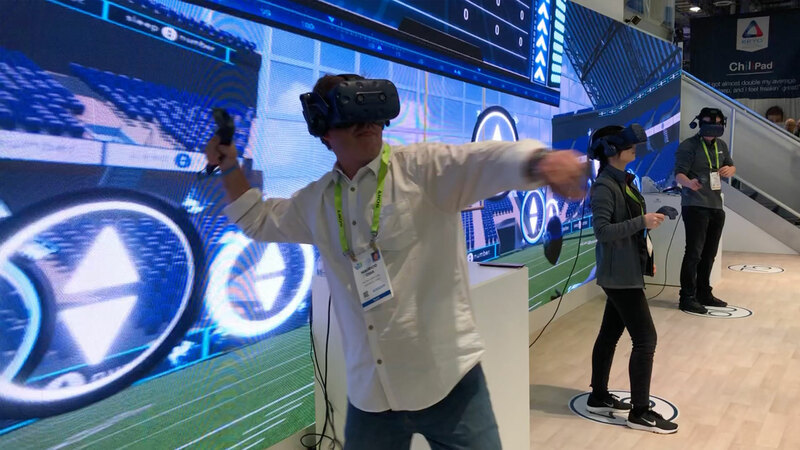 A wide variety of people joined in on the fun at CES. The activation site was positioned at the main entrance of the North Convention Hall. Groups competed on who could get the best score. The leaderboard tracked every user and ranked them based on the percentage of distractions they were able to detect. Crowds lining up to take the challenge. 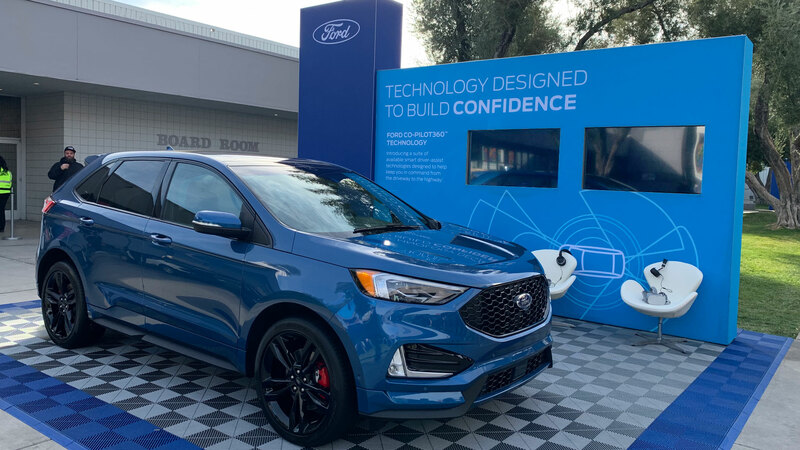 2019 Ford Edge featured in the VR experience was on full display. 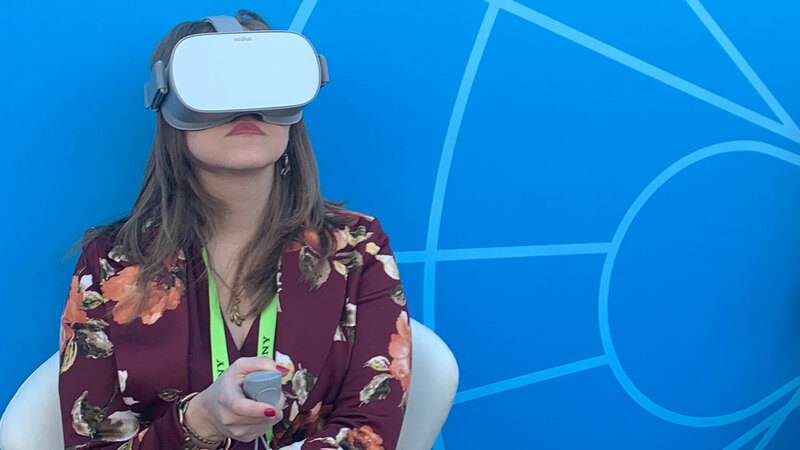 The Oculus Go was a great technology to run the application. The headsets connected wirelessly to the leaderboard system we had on site. People posing with the leaderboards. 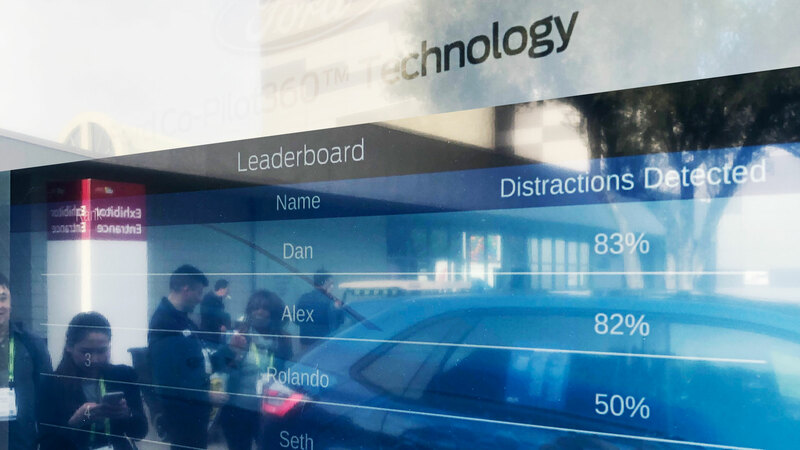 Every person that participated in the experience opted into Ford’s CRM application so we can track their performance. 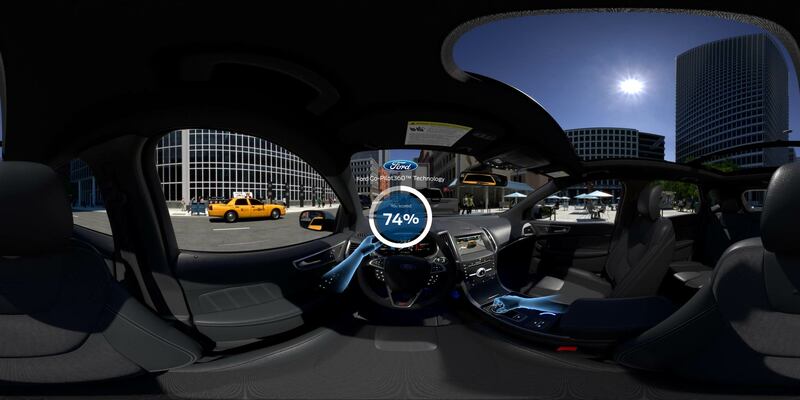 After taking part in the activation, the player immediately received an email with their score embedded into a socially shareable 360º panoramic image of the interior of the Ford Edge. As you can see below, I scored a 74% out of a possible 100%. 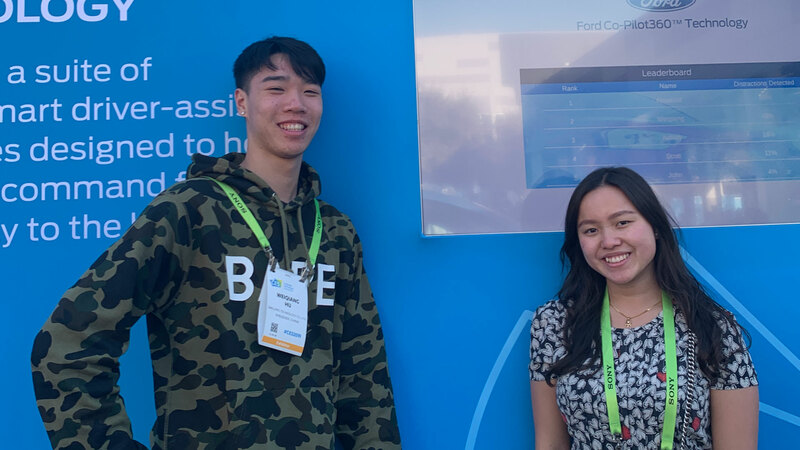 By collecting the user’s data, we were able to integrate the leaderboard, the social share component and to allow the participants the ability to opt-in to Ford’s CRM tool where we collected data about their car buying interests. 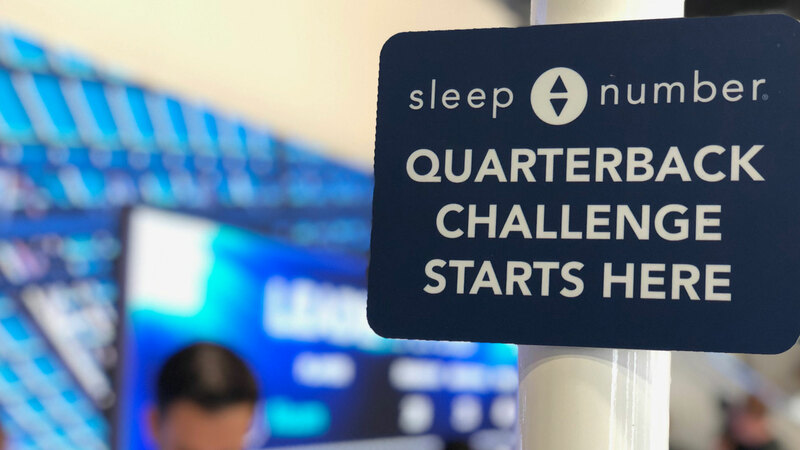 This year we helped our friends at Sleep Number on a Quarterback Challenge VR experience that demonstrates how a good nights sleep versus a poor nights sleep impacts your physical performance. 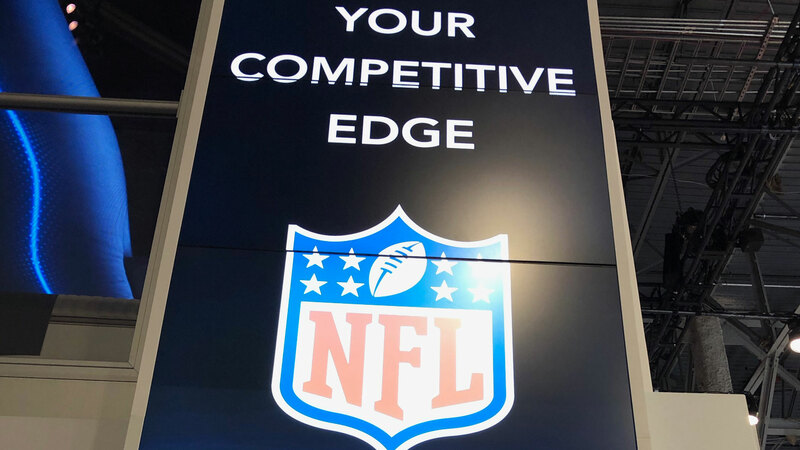 In this multiplayer experience, users are competing to see who can hit the most targets in a Quarterback Challenge game. Special guest stars stopped by the booth for their chance to play, including Katie Couric, who beat everyone she was playing against. 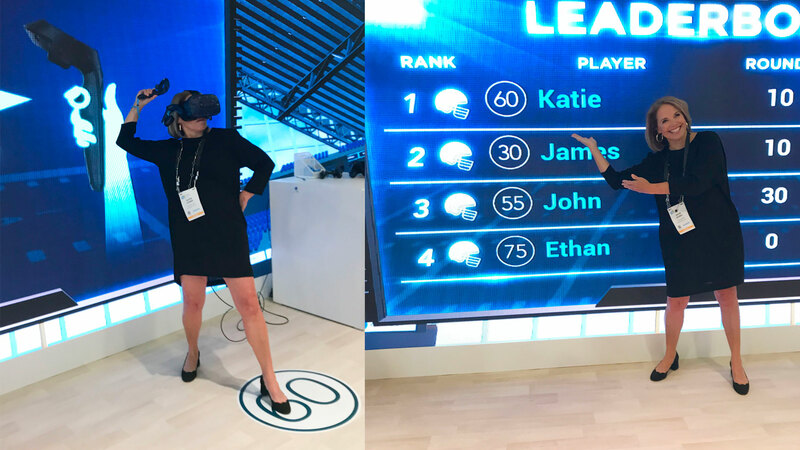 Katie Couric stopped by and gave the game a try and crushed it! 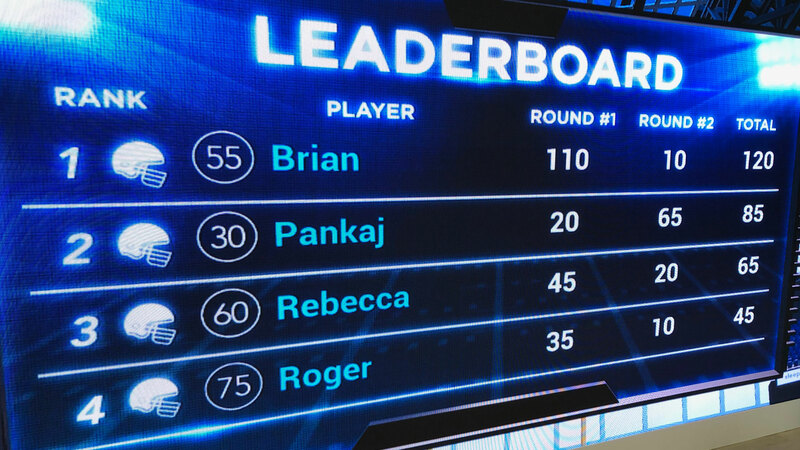 Four people at a time competed for top score. No one could miss us at the entrance of Hall C in the Sans West Expo at the Venetian. 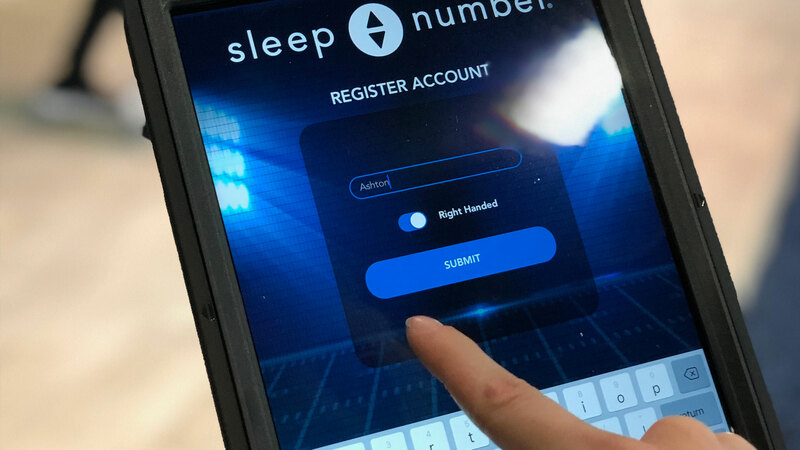 Sleep Number is the official sleep partner of the NFL. Now is a quarterback challenge game making sense? We tracked every player via an iPad App that collected user data. The massive leaderboard system tracked every player’s score. The four players are transported onto the 50-yard line of a massive football stadium. The first part of the game simulates how you would feel with a good nights sleep. The second part of the game simulates what it feels and looks like when you have had a poor nights sleep of 6 hours or less. In the belly of the beast. 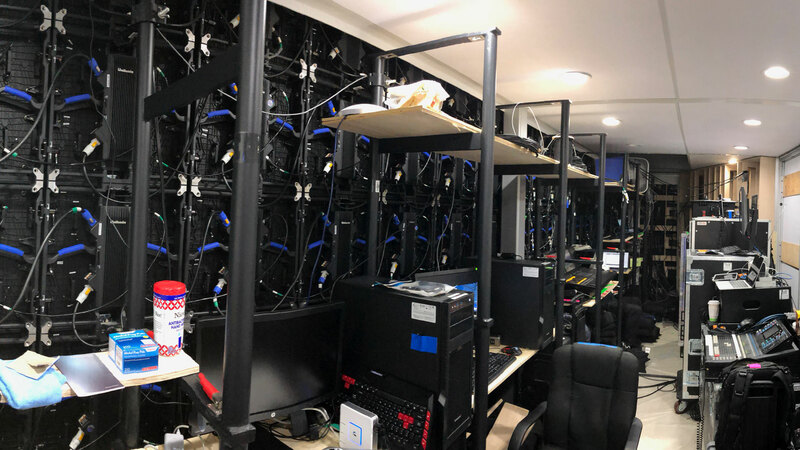 Powering that huge display.